Auto companies have to move fast to establish alliances, because the list of winners will be short, experts say. The traditional automotive merger is being replaced by a dizzying array of ecosystems, alliances and collaborations as companies race to stay on top of the latest technological trends. 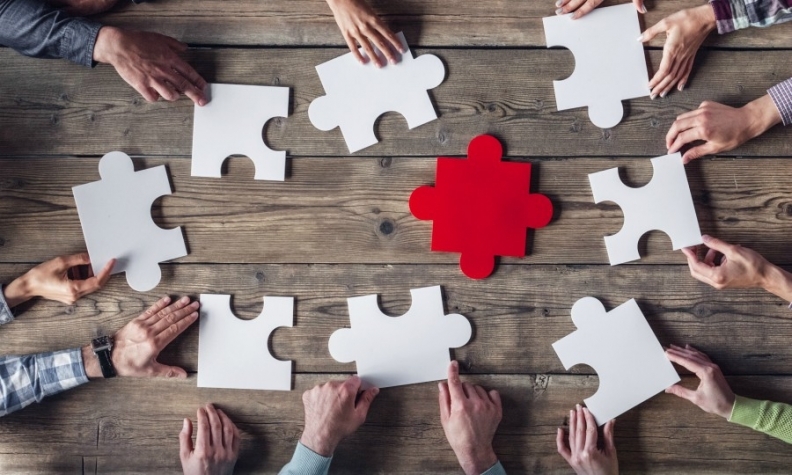 Many of these new combinations involve players from outside the automotive world, such as Silicon Valley startups or semiconductor companies, which bring new skills and fresh ways of doing business. They allow auto companies to speed up the development time of autonomous driving, electrification and mobility as a service -- and share the huge cost burden involved. Startups and other companies from outside the auto industry "are recognizing the difficulty of what it will take to get this technology to market," said Sam Abuelsamid, a senior analyst at Navigant Research. "At the same time, on the traditional auto industry side, they are recognizing that they are lacking some skills in software, electronic architecture and, especially, machine learning." Automakers or big suppliers that fail to set up or join such alliances risk falling behind, or even worse, analysts say. "It's smart to be fast because there are a limited number of perceived winners out there," said Andreas Jentzsch, a senior partner and managing director at Boston Consulting Group. "Right now, is really the moment of truth." A key new automotive alliance is Ionity, a consortium that includes VW brand, BMW, Ford, Daimler, Porsche and Audi. The partners are collaborating on an EV charging network across Europe. Among the largest alliances is Ionity, a consortium that includes BMW Group, Ford Motor, Daimler, Porsche, Audi and Volkswagen brand. 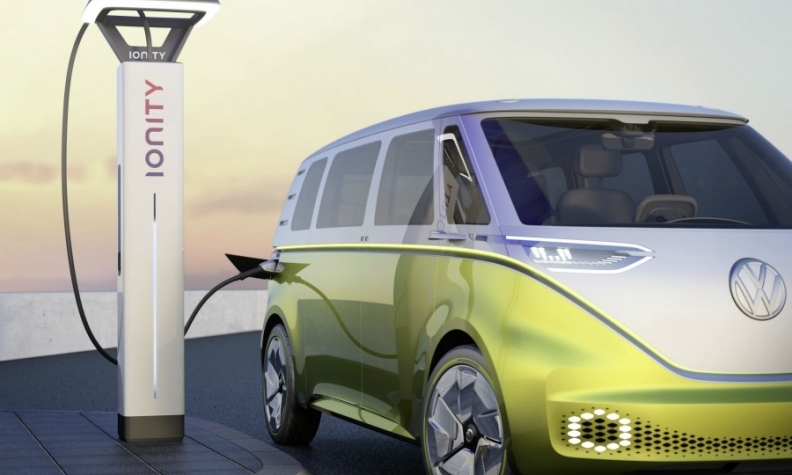 The partners seek to build a high-power electric vehicle charging network across Europe. BMW is also creating an ecosystem centered on autonomous driving, with Intel, Magna International, Fiat Chrysler Automobiles, Continental, Aptiv and Baidu, among others. And the chipmaker Nvidia is partners with Volvo Cars, Continental and Veoneer in autonomous driving. Beyond that, BMW has joined its premium brand rival, Mercedes-Benz, to develop car-sharing; Honda is spending $2.75 billion to join General Motors' autonomous vehicle unit Cruise Automation; and VW and Ford have announced a tentative alliance, initially based on truck and van technology, that could expand into autonomous driving. "What really stands out is this horizontal cooperation between automakers," said Andreas Tschiesner, a senior partner at McKinsey & Co. "In the past, each had its own supply chain" and vertical integration. Volvo head of r&d Henrik Green told Automotive News Europe in September that automakers must form an array of partnerships and alliances if they want to succeed in making autonomous vehicles a reality. "There is no single player who can do all aspects of this all by themselves," Green said. "Therefore, it is the collaborators that will win this race." 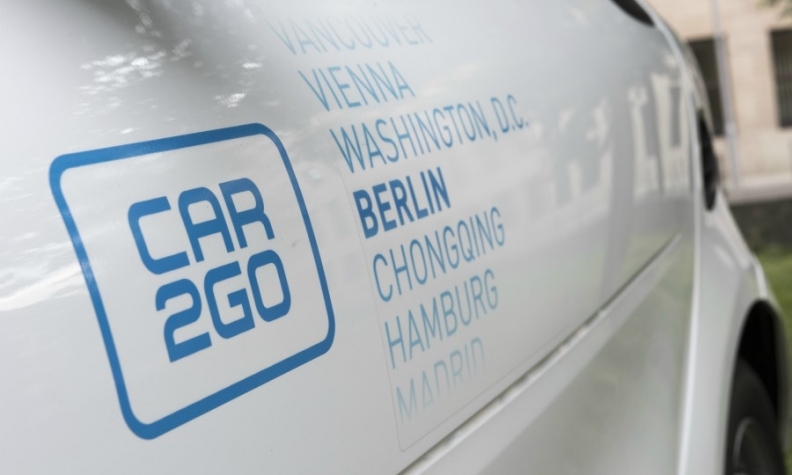 To better battle Uber, BMW and Daimler are combining their DriveNow and Car2Go car-sharing businesses. This story is from Automotive News Europe's latest monthly magazine, which will be available to read on our iPhone and iPad apps.You will be able to download the new issue as well as past issues by clicking here. Thomas Schiller, a partner at Deloitte who leads the company's practice in Germany and Europe, said such groupings will become inevitable as the true cost and complexity of autonomous driving and a powertrain shift to electrification emerges. "If you consider that to develop full Level 5 autonomous driving for an automaker, it will cost about $10 billion under current market conditions," Schiller said, "and considering this in addition to costs they already have to develop high efficiency internal combustion engines -- it will create a higher momentum to form these alliances." Although new players are entering the automotive industry through alliances, traditional automakers have not completely shunned cooperations with each other. Daimler and Renault-Nissan-Mitsubishi have worked together since 2010 on powertrains, vans, pickups and city cars. Although the partners have not announced any major projects lately, departing Daimler CEO Dieter Zetsche said at the Paris auto show this year that there were still many "blank spaces" the companies could explore together. PSA Group's engineering collaboration with GM Europe starting in 2012 led to new vans and SUVs -- and paved the way for PSA's outright acquisition of GM's Opel and Vauxhall brands in 2017. PSA Group CEO Carlos Tavares has said that the two companies' familiarity with each other gave him confidence that the deal would pan out. "If you look at what has happened over the past four years, what I see is that the teams have been working together in a very productive, collaborative way," he said at the 2017 Frankfurt auto show. What is new among "traditional" alliances is that they are addressing future technologies as well as current market coverage. Ford and Volkswagen announced this year that they would become partners in vans and trucks, but Ford has acknowledged recently that the two companies were also in discussions on investments in autonomous driving. For smaller automakers, teaming up with a much bigger competitor could be a lifeline. Mazda and Toyota entered into a business and capital alliance last year "aimed at creating new types of value for future mobility," including projects for electrification and connectivity. Toyota took a 5 percent share in its much smaller rival. "Smaller players are going to have a tough time going forward," Abuelsamid said. Mazda can leverage some of Toyota's huge scale, but at the same time contribute some of its own DNA -- as a brand focused on design and sportiness -- to the effort, he said. Toyota President Akio Toyoda characterized the partnership as "the realization of our desire to never let cars become commodities." It is that fear that is pushing many of the new alliances, Abuelsamid said. "As the industry shifts away from individual vehicle ownership toward mobility as a service, it's going to be harder for companies to differentiate themselves," he said. "Today, if you own a car, it's an expression of who you are, but if you are just using a vehicle on demand as a service, that won't be important to you. That will make it hard for a lot of companies to carve out space in the market," he continued. "We will see fewer companies providing more services." Tschiesner echoed this view, calling commodification "the most horrendous picture you can paint" for most automakers. As participants weigh these new arrangements, they can look to perhaps the most successful alliance in recent decades: The Renault-Nissan alliance, which was formed in 1999 and added Mitsubishi in 2016. Though Renault holds a significant stake in Nissan, the two companies have remained separate. At press time, the arrest of CEO Carlos Ghosn in Japan on suspicion of financial irregularities at Nissan has thrown the future of the alliance into turmoil, but it has become arguably the largest automaker in the world, rivaling VW Group with more than 10 million annual sales. Tschiesner said it was precisely the deliberate pace of consolidation under Ghosn that made the Renault-Nissan-Mitsubishi alliance a "role model" for other cooperations. "It was always designed as a long, slow integration," he said. "Obviously it would have been possible to integrate everything in three years, but they wanted to get the two company cultures and organizations on board. It's based on a 'best of' approach," he added. "It's not one company taking over another. That could lead to more resistance." In some cases, competitors are becoming cooperators, working together in one area while battling it out in another. That is the case with BMW and Daimler, who are merging their DriveNow and Car2Go short-term rental services. "The competition is not between Daimler and BMW," said Schiller. "The competition is the car-sharing tech providers, the Ubers of the world. If they want to gain market share -- and only the No. 1 and No. 2 can make money in such an ecosystem -- they need to form an alliance." 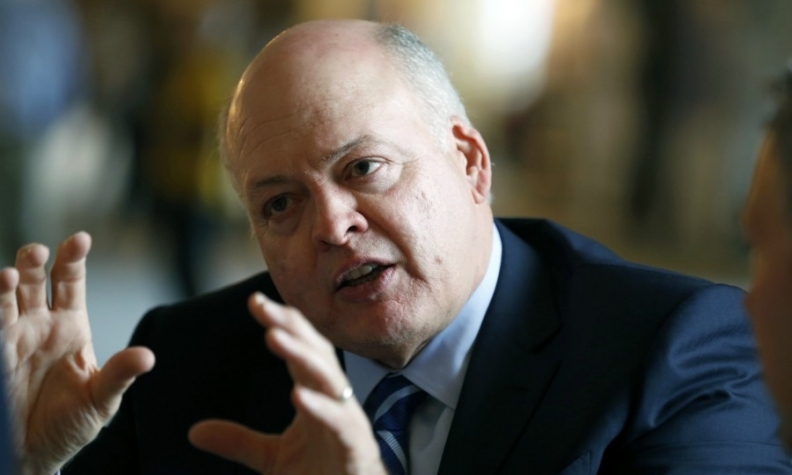 Ford CEO Jim Hackett has called the budding partnership with VW a "delicate dance," noting that while initial discussions on vans had gone well, he wanted to proceed with caution on working together on electric cars or merging operations in South America. "We still compete in a bunch of areas," he said. And there are still some areas that are off-limits to collaborations, as companies seek to protect their intellectual property. "Where we absolutely want to be involved, where we don’t need partners, is in the sensors and the first level of software," Valeo CEO Jacques Aschenbroich said in an interview at the Paris show. "Of course, we have a well-known partnership with Mobileye [which makes frontal cameras], which has significant orders, but we are the only one today with lidar on the market. That is our territory." Intellectual property, data protection and cybersecurity are all areas of concern, especially with broad alliances involving autonomous driving and connectivity, which rely on over-the-air updates and proprietary computer algorithms, analysts said. "The big players want to assure their customers that they are in full control of their data," Tschiesner said, noting that privacy rules are different around the world. Antitrust rules could also come into play if an alliance or ecosystem is seen as too dominant, he noted. Jentzsch said that more attention needs to be paid to cybersecurity. "You are much more vulnerable with these digital platforms," he said. Hacking "is happening every day," he said. "The situation will change drastically when the first autonomous cars are crashed on purpose." Unlike a traditional automotive merger or acquisition, there is no proven business model, for example, for an ecosystem based on autonomous driving. "This is why we are seeing so many different forms of partnerships," Tschiesner said. "Companies are trying to hedge certain aspects and gain experience." One thing that automakers are learning is how to work more like Silicon Valley, analysts said. A "fail-faster" culture might be uncomfortable for automakers used to spending years developing and testing new models before they can be sold -- but it is the norm in sectors like consumer electronics, where product cycles can be measured in months. "Some of these new players are still in venture-capital mode," Boston Consulting Group's Jentzsch said. "That means you have no guarantee that it will work -- it's just the nature of that business model." That also means that companies have more flexibility to leave if a certain technology or business model does not pan out. Jentzsch suggested that alliances and ecosystems that are trying to navigate new technologies or business models were more like dating, rather than a marriage. "It's smart to team up, but not with the logic that this is going to be a guaranteed winning partnership over the next 10 years," he said. "Automakers need to keep flexibility to change their strategy if they see it's the wrong bet -- and move on to another."